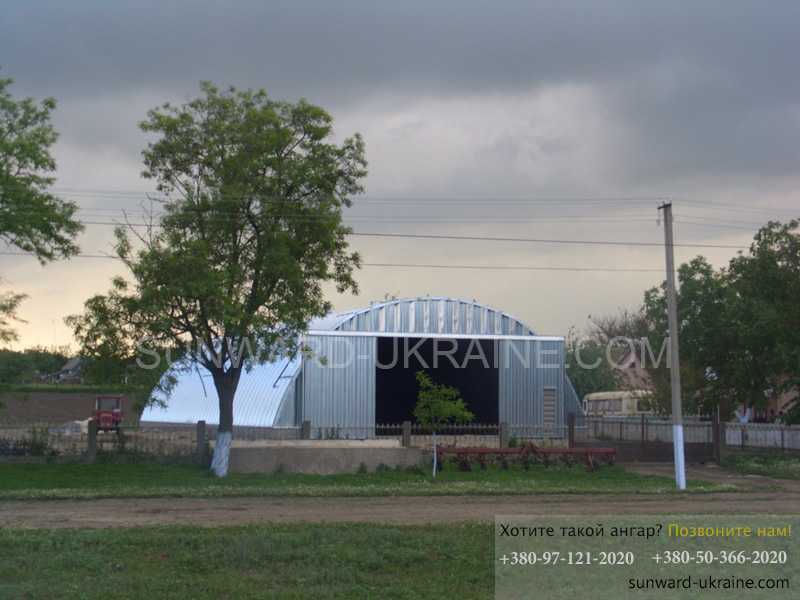 Sunward-Ukraine Company has been building arch-type frameless hangars and grain storage facilities on a turnkey basis since 1992. In our production, we use galvanized rolled metal products from such manufacturers as ArcelorMittal (Germany), Severstal OJSC (Russia), U.S. Steel Kosice (Slovakia). Over the years, our company has produced and shipped more than 1,000 frameless hangars and grain storage facilities. Our clients include customers both from Ukraine and from other countries such as Austria, Hungary, Romania, Poland, the Czech Republic, Kazakhstan, Turkmenistan, Russia, and Belarus. You can visit our manufacturing facilities of frameless hangars, which are located in the City of Dnipro, and learn more about our prices and output products. Frameless hangars are rapidly erected structures, which means that our customers receive the structure as soon as possible. Lightweight building envelope elements allow the construction of hangars both in and outside Ukraine without the use of lifting equipment in any location. gates of a simple design do not require any maintenance to ensure their efficient operation under adverse conditions. One of the main advantages is that our hangars are dismountable (which means they can be dismantled and moved to another location at any time). Do not hold off the purchase of our products: Buying a reliable hangar translates into increasing your profits rather than a waste of funds.